I am an artist and Associate Director of Eastside Projects, an artist-run Multiverse based in a free public gallery on Heath Mill Lane in Digbeth. I came to Birmingham in 1996 to be Sculpture Technician in the School of Art, and an interest in making things – whether they be artworks, exhibitions, arts organisations or makerspaces – weaves through everything I have ever done. As well as being a founder of Eastside Projects I co-produced the Birmingham Art Map from 2013-18 and co-founded Workshop Birmingham to connect manufacturers with the creative sector through factory visit events and Make Works Birmingham, an online directory of manufacturers, material suppliers and workshops. In 2014, frustrated by the lack of facilities in the region, I worked with Sean O’Keeffe, Mike Dring and Alessandro Columbano to R&D the Birmingham Production Space proposal, which is the foundation for STEAMhouse’s workshops and makerspace. I studied Fine Art at Nottingham Trent University and then worked as a sculpture technician for about ten years specialising in metalwork and casting. From 2000-2002 spent two years studying for an MA in Sculpture at the Royal College of Art and then came back to Birmingham where I began working professionally as an artist and connecting into the exciting artist-led scene that was developing in the city. I have made exhibitions, public art works and projects across the UK and internationally, for spaces, projects and organisations including Ikon Gallery, New Art Gallery Walsall, Spike Island, SITE Santa Fe, Guangzhou Triennial and Situations, and have work in major public and private collections including the Arts Council Collection. You can check out my website here . 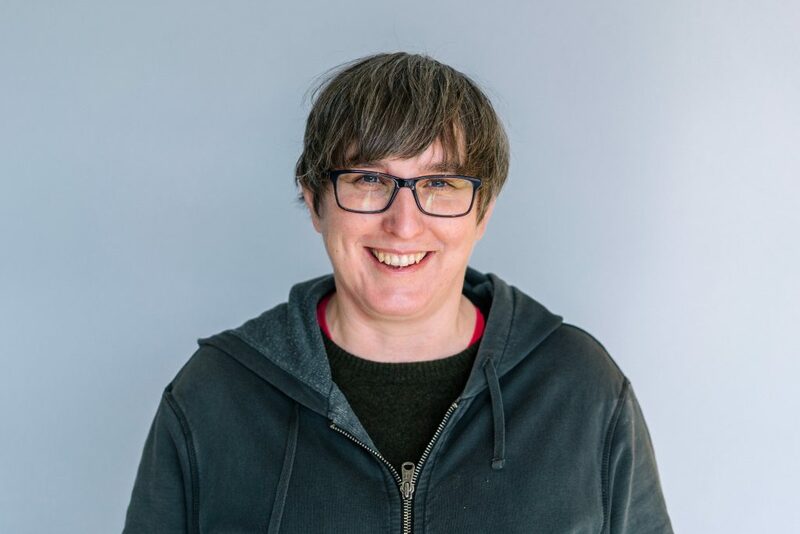 I am Creative Director at STEAMhouse, so am involved in lots of different aspects of the project but primarily I manage the Open Route, which is designed to support artists, makers and cultural organisations. I also feed into the Product route and work closely with the technical team to make sure the Production Space is running smoothly. Alongside this I am responsible for programming lots of our events – both for members and the wider public. So if you have any ideas about people you would like us to invite in to talk get in touch! At Eastside Projects we have always aimed to demonstrate ways that art, and artists, can be useful as part of society. I want to build accessible, sustainable spaces and resources which will support artists, makers and designers to develop their work, alongside peers from other sectors and disciplines. New thinking happens when we all get out of our silos and work side by side. My welding helmet (I have had it for almost 25 years). I’d invite the Lucas Aerospace Combine Shop Stewards Committee. They led the development of an Alternative Corporate plan for Lucas Industries in the 1970’s by asking the workforce for new product suggestions which answered a social need and could be produced using existing skills, plant and technology. Their call out generated 150 new product suggestions and, though the plan was never realised, it’s a brilliant example of people coming together and using their existing skills and knowledge to innovate. I first heard about it through Adrian Smith – there’s a link to a paper he wrote about it here .